The Star, Idaho real estate market is the smallest and most rural city in Ada County, with a population in 2010 of 5,793 (1). 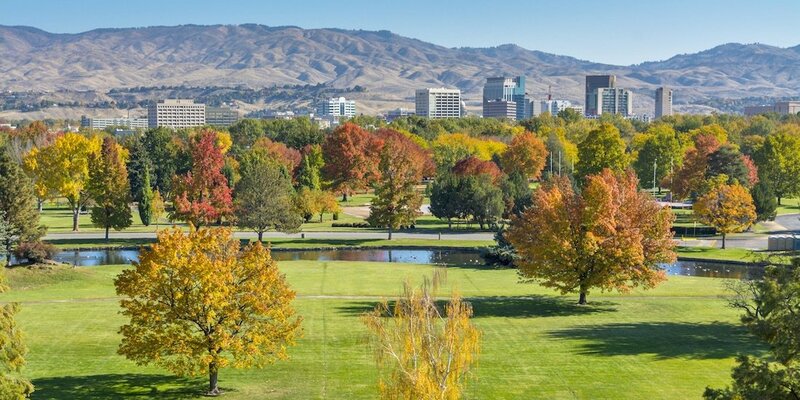 Located approximately 18 miles from Downtown Boise, Star is about a 30-40 minute drive to downtown or the airport. Basic shopping can be done in Star, while virtually everything you need can be obtained by commuting to nearby Meridian or Eagle, both about a 15-minute drive. Star Idaho real estate is known for its beautiful geographic setting between the river and foothills as well its "small-town", "country-feel". Many people are also drawn to the homes for sale in Star because many properties are acreage lots. While Star is certainly a small town, it also has been one of the fastest growing in Idaho. From 2000, to 2010, the population grew 222%. That's an average annual growth rate of 22.2%, compared to Idaho's 2.1% during that same time period. Real estate prices in Star, Idaho are some of the most affordable in Ada County. The median home price is higher, due to many larger estate properties, but purchasing power is greater than in nearby Eagle or Meridian. Foothills: There are a number of subdivisions located in the foothills. Homes for sale in these areas can offer spectacular country or mountain views. Depending on orientation, the Rocky Mountains and/or the Owyhee Mountains can be seen in a distant-view. Sunrise and sunset views can also be spectacular in these areas. River: While there are not many developments along the river, there are some larger parcels and estate properties along the river. Riverfront properties are some of the most expensive real estate in Star. Acreage: One common draw for people looking at homes for sale in Star is the relative abundance of acreage properties. Whether you have horses or simply want more open-space for your personal enjoyment, Star has many options available. Some real estate developments in Star may fit one or more of the categories above. For example, Hillsdale Estates offers acreage properties and many have incredible views. As a percentage, Star has one of the largest shares of newer homes available. According to the US Census, nearly 39% of homes in Star were built after 2005 (2). 89.5% of the homes in Star were built after 1990. Since 1990, the population grew from 600 people to 5,793, which is why so many of the homes have been recently built. Most of the homes in Star are occupied by their owners, rather than renters. 79.9% of of the homes are owner-occupied compared to 69% in Ada County. Firebird Raceway - During the summer and fall, the Firebird Raceway has drag racing events and draws fans from nearby communities. The raceway is located about 8 miles north of Star. Movies under the stars - During summer, residents can be found at the Star fairgrounds enjoying a free outdoor-movie. A great time for the kids and a great way to get to know others in the community. Golfing - The River Birch Golf Course in Star is one of the newest courses in the Treasure Valley. There are other nearby courses in Meridian, Eagle, and Caldwell. Boise River and Boise Foothills - Fishing, hunting, trails for hiking, biking, and horseback riding, and more.